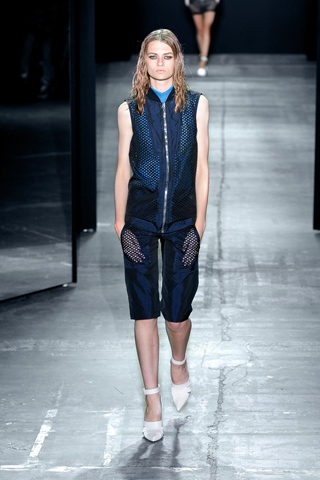 ....I cant imagine how amazing it must be to be a model full stop but to walk in an Alexander Wang show....my goodness! Alexander Wang has released a new video from his 'Confessional Series' which tells the story of two models who walked in his SS12 show. One of which hails from the UK, Northampton to be exact. She was discovered in a pub in her hometown by a model scout, the next day she was in New York attending her first 'model casting' for none other than Mr Wang. And i am not for one minute suprised to read further...she also walked in SS12 shows for the likes of Celine, Givenchy, Chloe and Prada - so no big names then?